And, of course, back up your files, frequently and automatically! That won’t stop a malware attack, but it can make the damage caused by one much less significant. Disable or Block SMBv1 – this is a temporary measure to stop the propagation, but does not remediate the threat. If is needed to enable SMBv1 than always enable SMBv2. Block Port 445 and 139 from Firewall. Restrict accounts with administrator group access. Disable remote desktop access. If it is needed than select different user which is not easily guess with strong password. I would like to voice my love for your kindness in support of individuals that really need help on this concept. Your very own commitment to passing the solution across had become wonderfully invaluable and has encouraged professionals like me to attain their targets. This warm and friendly guidelines indicates a lot to me and especially to my fellow workers. Many thanks; from everyone of us. I must show my appreciation for your generosity in support of those people that really want assistance with this important idea. Your very own dedication to passing the solution up and down appears to be especially interesting and has specifically made most people just like me to achieve their desired goals. The informative information means a whole lot to me and further more to my office workers. Thanks a lot; from everyone of us. I wanted to post you one bit of word in order to say thank you as before for the magnificent ideas you have provided on this site. It was quite extremely open-handed with you to allow unhampered what a lot of folks would’ve sold as an e book in order to make some dough for their own end, and in particular now that you could possibly have tried it if you decided. Those principles likewise worked as the great way to be sure that most people have similar zeal the same as my personal own to grasp many more in regard to this matter. Certainly there are some more enjoyable situations in the future for individuals that start reading your site. I intended to create you that little bit of observation so as to give many thanks the moment again for the superb techniques you have shared on this site. This is really shockingly open-handed with people like you in giving freely all that many of us would have distributed for an electronic book to make some dough for their own end, most notably considering that you could possibly have done it if you desired. These creative ideas also acted to be a good way to fully grasp other people have similar passion just as my own to know more concerning this issue. I am sure there are a lot more pleasurable times in the future for individuals who look into your blog. Ransomware is a problem that has ruined millions of devices across the globe. 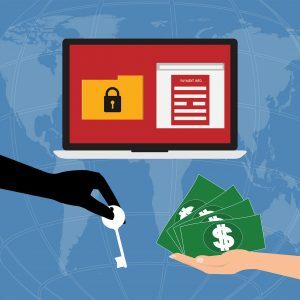 There are still millions infected with ransomware and are used as bots for DDoS attacks. Learn how to protect yourself from ransomware by following the tips given below. I precisely needed to thank you so much once again. I do not know the things that I might have sorted out in the absence of these ideas contributed by you concerning such situation. Completely was a very frightful setting in my opinion, nevertheless taking note of the very skilled manner you managed the issue took me to weep over happiness. I am happy for your information as well as sincerely hope you are aware of a great job you have been carrying out educating people today through the use of a blog. I am sure you haven’t encountered any of us.